I have chosen her as Mistress of Charm for being the keeper of the McQueen flame. His assistant of many years, she has shown a masterful touch in knowing how to translate his genius into a beautiful Spring 2011 collection & the most charming wedding dress we’ve seen in a long time. I salute her for her grace under pressure-winning the trifecta of “Fabulous”-working on the new Alexander McQueen collection, the wedding dress & the exhibit at the costume institute while she kept the secret. Truly charming. 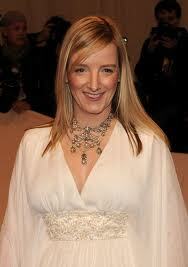 Here she is, her discreet self, popping out of nowhere to fix the train, just before Kate steps down the aisle. 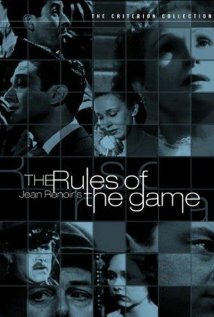 The quintessential French Film which teaches us that there are rules, & how to play them. With costumes by Coco Chanel, how could you go wrong.